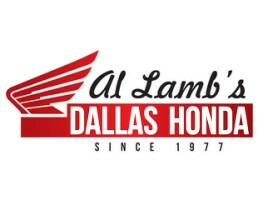 Do you want us to remember the «Al Lamb's Dallas Honda» website? Al Lamb's Dallas Honda 2016 Recon is the smaller, more convenient, utility ATV that is the smart choice for many riders. Sometimes the big, bulky, heavy, ATV isn’t the correct choice for your trail riding or work duties — that’s why Honda makes the FourTrax Recon. It is still a strong, versatile, powerful ATV, but it was built to maneuver through places and do work that other, larger, ATV’s are incapable of. The Recon ES is everything that comes with the standard Recon model, while adding an electric shift capability to the handlebar. Check out some of these incredible services that are available when you purchase your new motorcycle, atv, or watercraft at Dallas Honda! A vehicle is stolen every 25 seconds in the U.S. Last year alone, over 1.2 million vehicles were stolen across the country. Alarms and other deterrents are not enough. Depending upon where you live and what make and model you drive, you may be at risk. There is little you can do to prevent a car from being stolen. However, with LoJack you can take control and ensure that if your car is stolen, you’ll get it back. Take control and protect your vehicle with LoJack. The patented LoJack System includes a small radio frequency transceiver hidden in up to 20 places in a your vehicle. Each LoJack System has a unique code that is tied into the Vehicle Identification Number (VIN). When a theft is reported to the police, a routine entry into the state police crime computer results in a match of the LoJack System’s unique code against the state VIN database. This automatically activates the LoJack System in your car, which emits an inaudible signal. Law enforcement authorities who are equipped with LoJack vehicle tracking units – in their police cruisers and aviation units – are always listening for a LoJack signal. Police use the LoJack vehicle tracking units to track and recover your LoJack equipped vehicle. Lo Jack Unlike any extended service contract you’ve seen!!!!! Don’t lose out on enjoyment due to a mechanical breakdown that is not covered by the manufacturer’s warranty. Western Service Contract’s mechanical breakdown protection covers more than your factory warranty and extend’s beyond the warranty’s expiration, virtually eliminatiing future expenses to have your vehicle back to where it belongs–in the water, on the road, or in the dirt. Western Serivce Contracts will extend your warranty up to 4 years beyong the original manufacturer’s warranty with NO mileage limitation and NO deductible!!!! The Locate option offers all the unique and special features of MOGO plus added benefits that enable you to personally communicate with your vehicle 24/7/365. Enabling you to locate your vehicle anytime of the day or night via the internet or text message on a per locate basis. The Full Feature Tracking option provides you with a 90-day history report detailing when and where your vehicle has been, the average speed it has been driven (speed violations), and notifications of pre-set geo-boundaries (geo-fencing). All of this comes with an additional 10 minute guaranteed update on the vehicle while moving 24/7/365. These features are equipped to be able to be sent to you via email or text message. The 90 day history report is updated every 10 minutes while your vehicle is in motion anytime day or night. This feature allows you to save money and time by getting unlimited factory scheduled service for 3 years with no mileage or hour limitation on your new machine! Simply bring your bike to us when it is ready for a service interval and drop it off. We will return it ASAP with $0 due!!!! Pay nothing extra for parts, fluid, or labor when you have this great maintenance package!